Free Back Pain Report - THANK YOU! 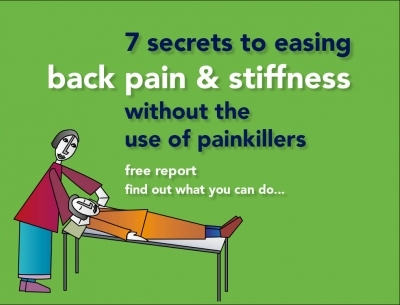 Thank You for claiming your FREE tips report on easing your back pain and stiffness. Just fill in your details below, hit the 'Send Me' button then check your email for your FREE report. The PDF will be sent to your inbox, and you’ll be subscribed for great, free tips on easing your back pain!